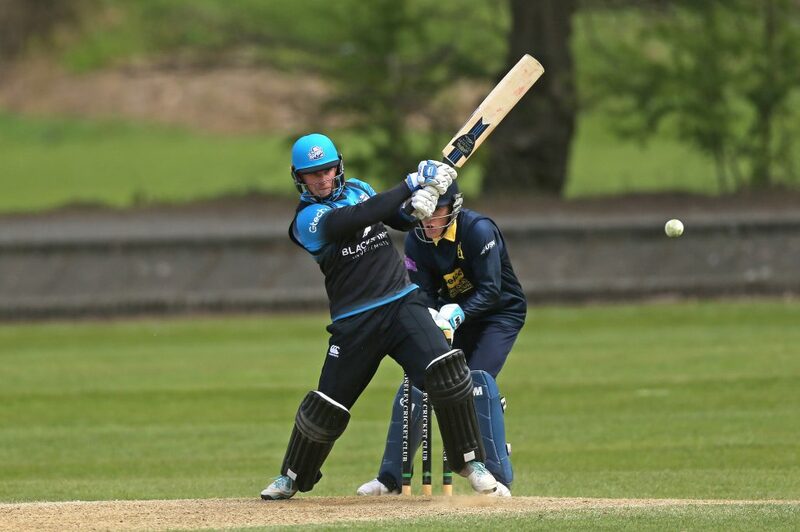 Shropshire have signed former Worcestershire star Alexei Kervezee – with chairman of selectors Bryan Jones excited about the role he will play in helping to develop the county’s promising youngsters. The ex-Netherlands all-rounder, who played 39 one day internationals, left Worcestershire midway through last season after 11 years at New Road. A top order batsman and versatile bowler, he has a wealth of experience which Shropshire are delighted to have added to their squad. Jones said: “From a Shropshire point of view, he fits exactly what we’re looking for. He’s just come out of the first-class game, he’s been very successful, he bats, bowls and fields, he’s really fit and, more importantly, he approached us and was really keen to get involved with Shropshire. “He’s interested in bringing our younger players on, so it’s very positive. Shropshire’s two scheduled pre-season games have both been called off owing to the wet weather, but Kervezee, 28, who will captain Halesowen in the Birmingham League this season, recently met his new team mates for the first time at a training session at Shrewsbury School. “He’s going to play all three formats, which is great,” added Jones. “Both Steve Leach, our Unicorns Championship and Unicorns Trophy captain, and Will Parton, who will lead our new Twenty20 side, are looking forward to working with him. “Alexei will bat in the top four and he bowls with a lot of control. He bowls offspin and he can also bowl seam as well. He’s a genuine all-rounder, so he can contribute in lots of ways. “He’s an experienced cricketer and has played a lot of big games for Worcestershire, as well as internationally. He’ll give us a good insight into the new T20 competition from playing lots of games in that format for Worcester. Kervezee, excited by his new challenge, said: “It’s something I’m looking forward to a lot. I’ve heard a lot of good things about Shropshire from people like Kevin Sharp, who both played for and coached the county, and also a whole host of former Shropshire players at Worcestershire, the likes of Joe Clarke and Jack Shantry. Shropshire will open their season with a Unicorns Trophy first round tie against Herefordshire at Whitchurch’s Heath Road ground on Sunday, April 29. Pictured: Shropshire’s new signing Alexei Kervezee in action for Worcestershire. Picture: Tony Marsh/Cricpix.